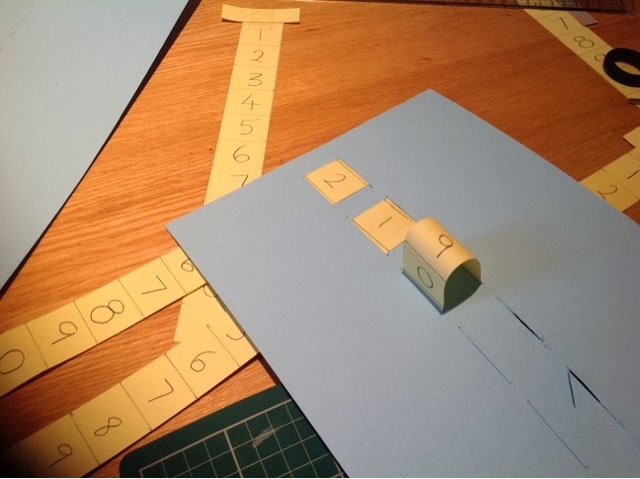 An Ordinary Life : Make your own Number place value machine! 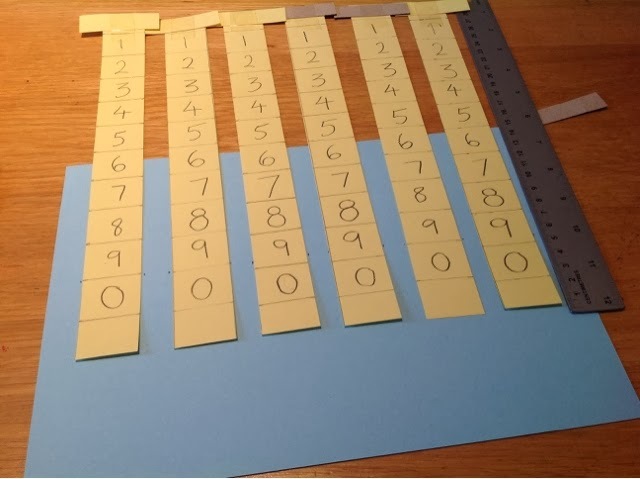 Make your own Number place value machine! Honi, every time she works with tens and units, still has trouble with it. 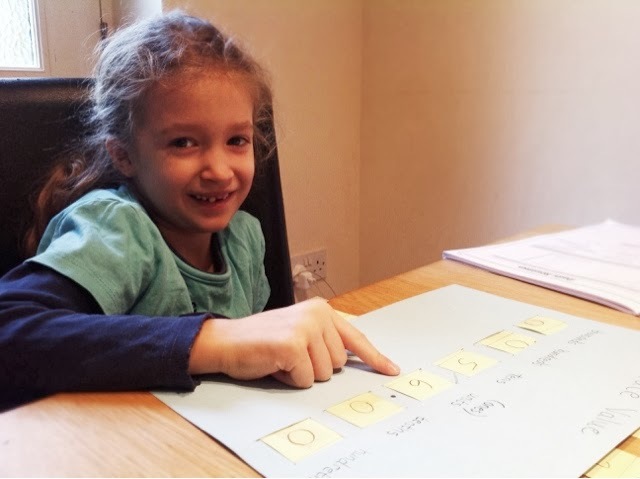 Although her tens and units game we have great fun playing and it helps her a lot, I thought it would be of benefit to her to make her something else to help her while she tries it out in her workbooks at the table and that is where my inspiration for the Number Place Value Machine came from! 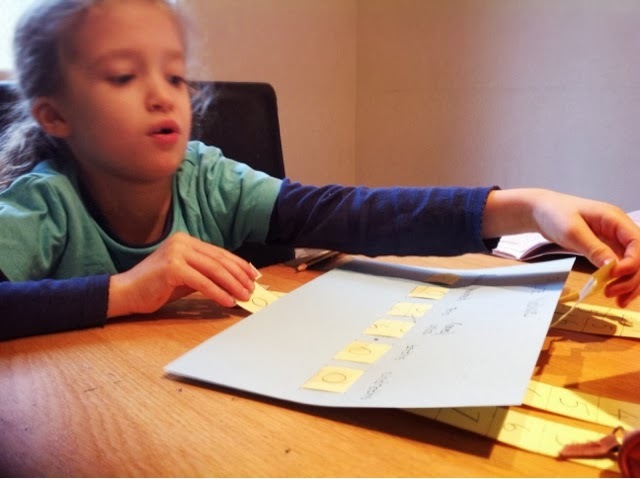 She really loved it and I added a thousands column and decimal places for when she's ready to try something a little harder too. So how do you make one? 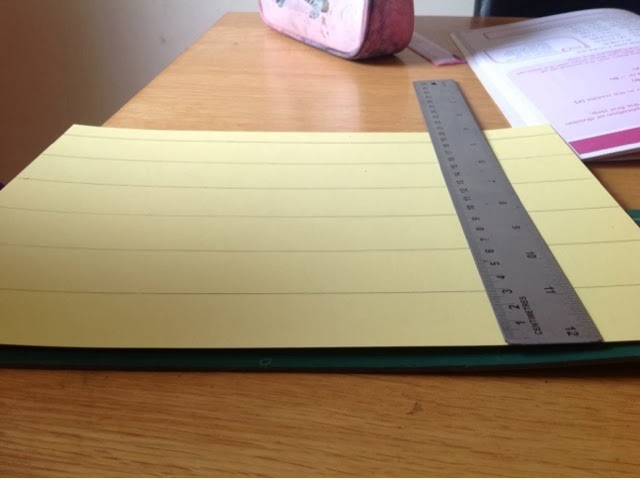 Measure out 5 strips of card 3cm thick down the length not width of the card. 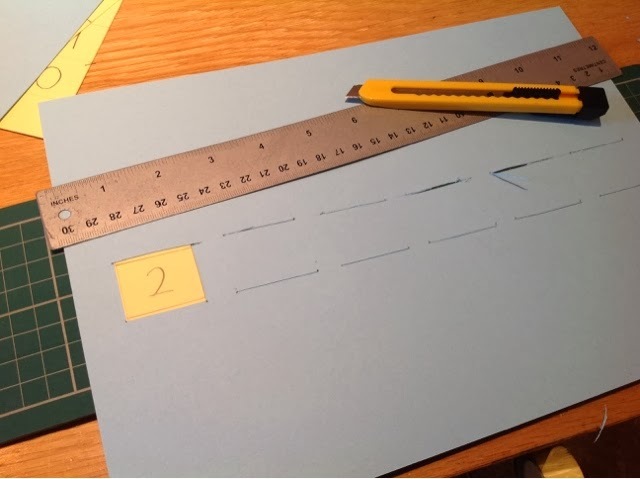 Cut the strips and measure 2cm up from one end of a strip and then in 3cm increments drawing a line across each time so you have 10 squares in the middle and 2 small triangles either end. 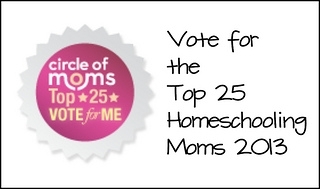 Repeat again for all 5 strips. Mark each of the strips 1 to 9 and then a zero at the end like in the photo above. 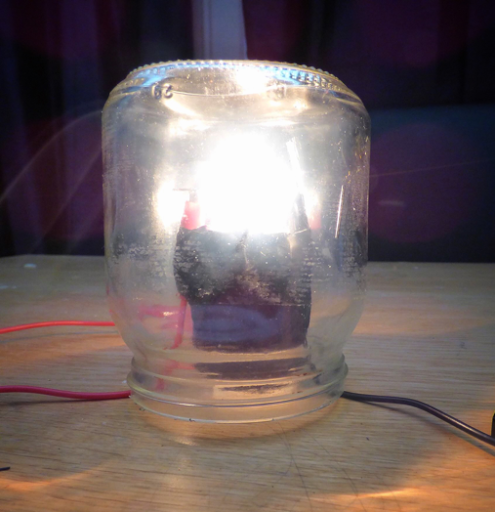 I also added a small strip of cardboard using sticky tape to hold it at one end, so that once finished the strips don't fall out. Make 5 slits 9cm from the top of your card (when it landscape way round) that are 3.5cm with a 1.5 cm gap between each using a Stanley knife and metal ruler with a self-healing mat underneath. Directly 3cm underneath the slits you have made make 5 more. Like in the photo above. Weave each strip in and out of the slits so the numbers can be seen like this and the strip should be free to move. Add another 5 thin strips to the other end of each strip with sticky tape so the strips won't fall out. 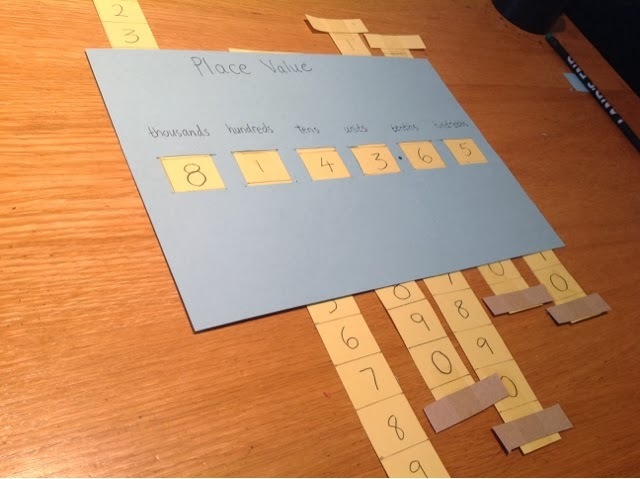 Label, in pen or pencil, the Number Place Value Machine: Thousands, Hundreds, Tens, Units, Tenths and hundredths and remember to add the decimal point. Then you are ready to use you machine whenever you need. Aw, thank you for leaving a comment :D Hope you had/have fun making it!